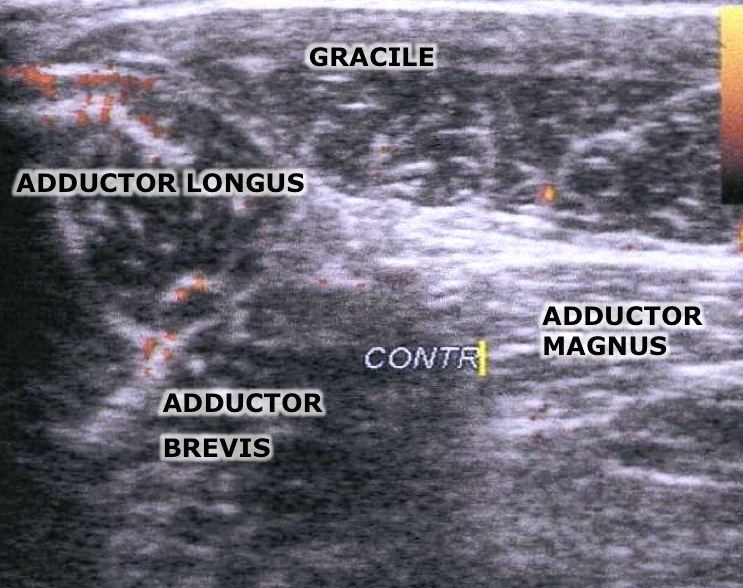 And the Long Adductor with the deep muscular layer: Long and Short Adductors. I draw on a study published in 2008 of 12 soldiers (including 1 woman) ≃ 33 years old with injuries of the groin old of about 12 months (from 15 days to 3 years). After Manual Adhesiolysis, follow-up lasted > 1 year. 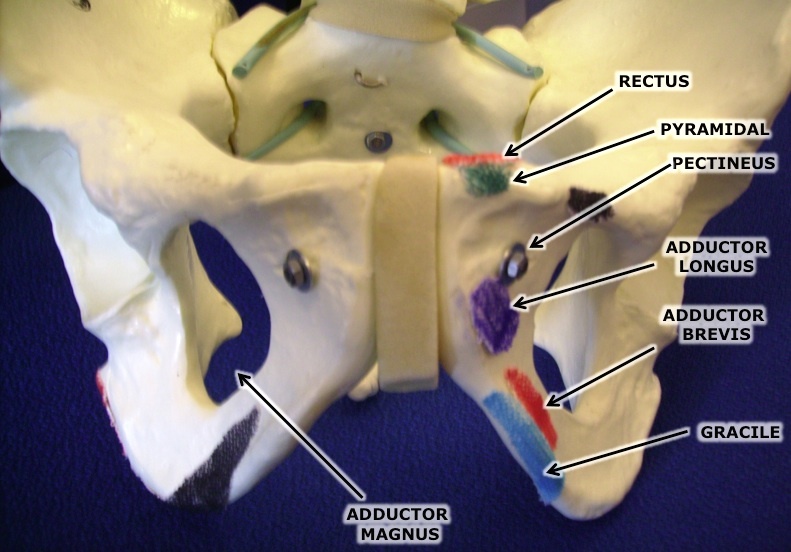 In 75% of the cases, the triggering factor was an elongation of the Long adductor (caused by football or parachuting), that had often been forgotten. 11 athletes were healed after 3 sessions one week apart, with a repetition of the treatment 15 days later. From the groin side, the fingers can only move with difficulty between the muscles and tendons of the adductors, compared to the healthy side. The operator mobilizes the adductors amongst each other: with the probe or using isometric contractions to find poor inter-fascial kinetics. 3) Electro-stimulation of the muscle motor plates. NB: the long adductor does not contract as well as the healthy side. 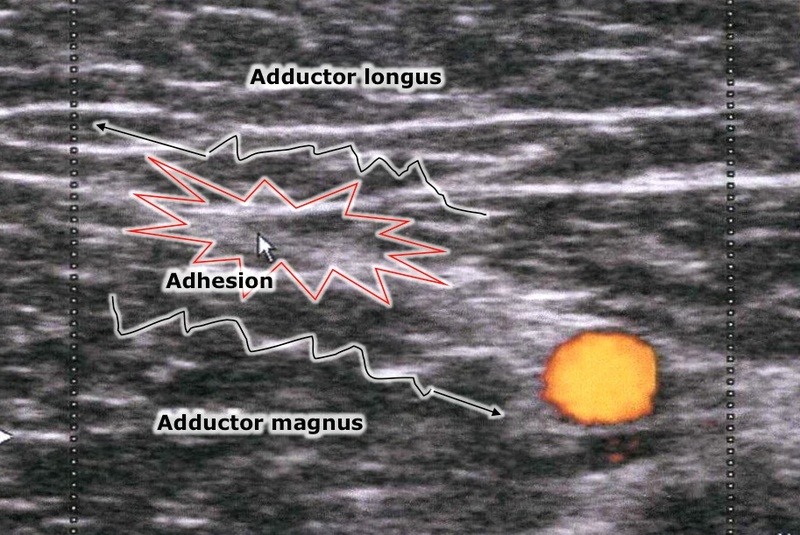 The practitioner mobilizes the Long Adductor in three dimensions (while avoiding the femoral artery). 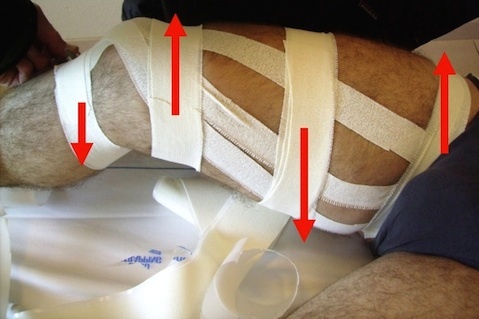 Then, apply ice (to avoid a post-adhesiolysis hematoma), then TAPE for five days to avoid recurrence. Finally, balancing of the pelvis and the spine.